Debate Continues: How Best to Stave Off Chains, Bars? Could new zoning help bring mom-and-pop businesses to the East Village and Lower East Side, and keep them there? 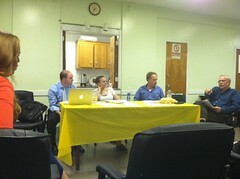 Community Board 3’s Economic Development Subcommittee met last night to continue a discussion about retail diversity.